EDIT: I reached out to the developers of all of the below games for comments and corrections. I will update this article as I receive responses. So far the teams for Fort Triumph, Forged of Blood, Phantom Brigade, and Zodiac Legion have added their own quotes. Characters can and will die. Players can lose a campaign, either through an official “Game Over” moment or an unwinnable state. No real-time nor twitch based elements. Players in XCOM games control a small squad of units in instanced missions. Outside of combat, there must be options for expanding one’s base/army. These draw inspiration from the 4x genre, but are not limited by it. Traditionally, this has included research, building structures, and creating items. Characters need progression mechanics. Their growth over the course of several missions/quests is imperative to the emotional attachment XCOM games create when paired with permadeath. Additionally, this makes for interesting long term strategic choices in how to build an army. Jake Soloman, creative director for XCOM 2, agrees on three of these at least. The only XCOM trait of his that I didn’t include was the need to play as humans. That’s fair enough for XCOM proper but the human vs. alien fight is certainly not a genre requirement. Otherwise, we wouldn’t see so many people asking for a fantasy XCOM game. Like Souls games, this burgeoning subgenre is not beholden to the setting from which it originated. Other features such as cover or reactive attacks like overwatch influence a similarity score but don’t negate any games from their rightful place on this list. Alright, so what are these 9 upcoming games XCOM-like games? And how many can you name? I’ll put the over/under at 2.5. Phoenix Point is the brainchild of original X-COM progenitor, Julian Gollop. (For those unfamiliar with the series, X-COM refers to the 1990s games and XCOM to the 2010s games.) Like XCOM, players will be tasked with eradicating an alien threat against Earth. Their fig.co campaign raised $765k towards their $500k goal. Players can expect core gameplay with a mixture of both old X-COM and new XCOM. A good example of this is its hybrid 2-action system where soldiers will halt their movement upon spotting xenos with the option to continue forward. Squad sizes can also reach 16 soldiers, but that seems like it might be a rarity with injuries and death. Unique features include boss battles, mutating aliens based on player tactics, Lovecraftian enemies, vehicles, and multiple human factions to interact. Phoenix Point’s factions will demand even more juggling and input from the player than War of the Chosen’s system. The strategic geoscape pushes the genre forward with more impactful choices of where to explore and expand. The Cthulian style enemies look downright scary. I think this game will end up most appealing to XCOM players who want more balance between strategy and tactical combat, but every XCOM fan should keep their eyes peeled on this. Price: $30, you can pre-order Phoenix Point here. 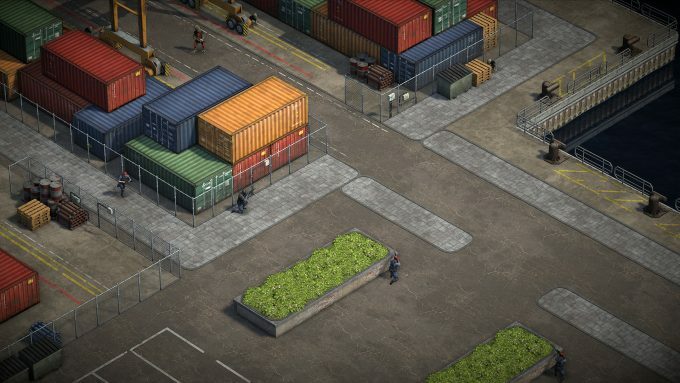 The first Xenonauts is closer to original X-COM than XCOM. 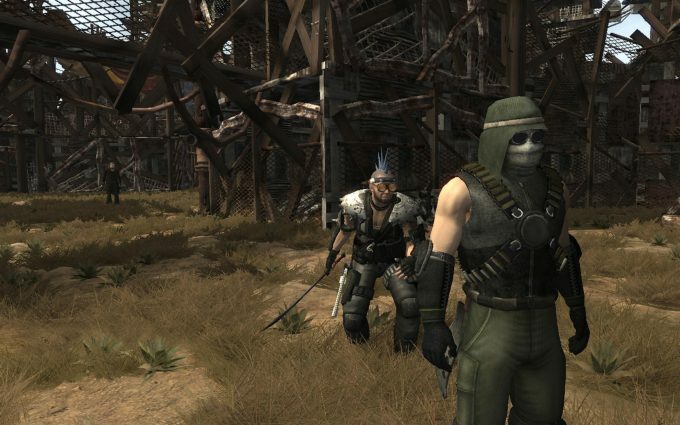 There’s less overall character to the game and fewer RPG elements. It feels more like a board game when playing. 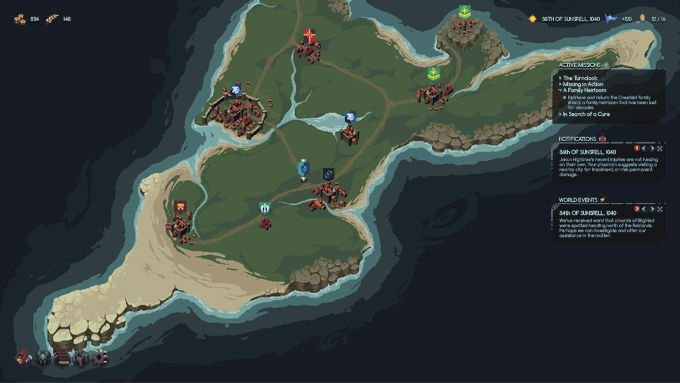 The Xenonauts overworld map encourages more proactive responses whereas XCOM feels more reactive. The biggest difference between these two though is in the tactical combat. XCOM uses a simple 2 action system with turns ending on almost any attack action. Xenonauts uses time units so there’s a lot more flexibility for planning. Whether or not this flexibility is worth a slower pace is up to you. 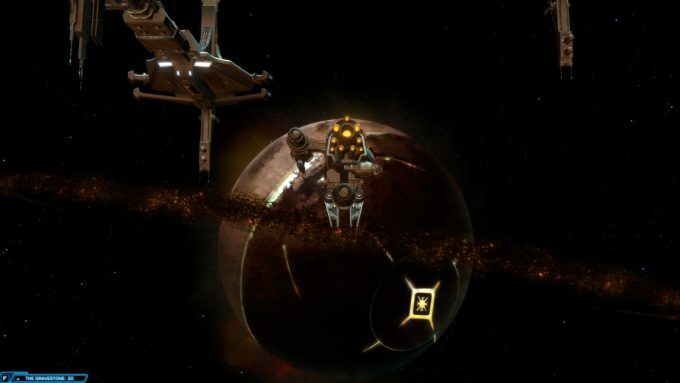 Xenonauts 2 will be more evolution than revolution and plans to improve on the core elements of Xenonauts with new features such as psionics, deeper air combat, a deeper research tree, and a bigger emphasis on plot. Purchase: Unknown. Currently unavailable for pre-order. I’m pretty excited about Fort Triumph. Their feature list reads like “Fantasy XCOM + Divinity: Original Sin”. As in Original Sin, there’s a big tactical emphasis on using the environment to gain advantages, with possibilities like burning a tree to topple it onto an enemy. Characters come with their own personality traits and look like they’ll be fairly unique. 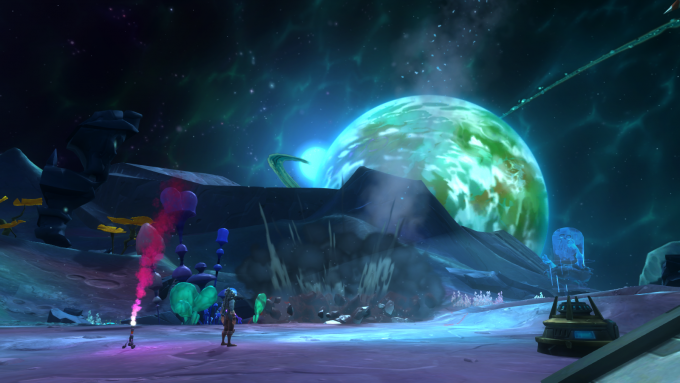 The visuals are certainly more cartoony than XCOM. I’m sure it’ll turn off some but the quality of the art style is definitely high. Despite a more family friendly look, Fort Triumph isn’t straying from stressful gameplay or permadeath that makes it an XCOM like game. The campaign itself challenges players to overcome a dynamic series of events and quests that change each playthrough based on randomness and player action. The depth of long term strategic options Fort Triumph remain unclear but exploration is poised to play a big role. Developer Quote: “These are exciting times to be a turn based tactics lover, for sure. Looks like we’ll have a double challenge in 2018 – developing on schedule AND playing all of these great titles. Price: $20, you can pre-order Fort Triumph here. Repel invading enemies until you can take the fight to them. Use small parties of soldiers to infiltrate, scout, explore, and sabotage the enemy. Deploy covert op squads alongside primary military forces. Research magical powers and technologies to equip your parties with the strongest of weapons. Does this all sound familiar? Zodiac Legion feels the most conceptually similar to XCOM of the fantasy games. The only thing it’s really lacking is a cover system. However, the game makes up for that on the customization side with artifacts imbued with the power of the zodiac. I expect conquering these sites of power to act as a late game challenge necessary to felling the opposition. Legendary equipment is something I miss in base XCOM (though Grimy’s Loot Mod adds it to XCOM 2) so these artifacts an exciting prospect. Unfortunately, the developer has only tweeted out a handful of times since the last blog post in May. I wouldn’t expect this until 2019 at the earliest. It’d be better late than never though. Developer Quote: “We definitely want the strategic layer to have the organic feel of the older X-COM, where aliens would launch missions according to an agenda that the player had to adapt to. X-COM also made setbacks more common, but much easier to recover from. Still, we also think that the abilities and varied objectives of the recent XCOM add a lot of variety and tactical nuances to the formula. Price: Unknown. Currently unavailable for pre-order. You could probably tell from the screenshot, but Kingsmen is not related to the movie franchise. Assuming the game actually gets released, they really should really consider a name change. It’s been in development for 4 years now, which initially had me worried. Luckily, when I reached out the developers, they were quick to answer that development is moving on schedule. Kingsmen revolves around ruling a medieval kingdom and sending out patrols to keep your citizens safe as you expand into untamed regions. In addition to expansion, diplomacy with nearby kingdoms will play a critical role in succeeding. This game will be much more grounded in reality than any of the other games like XCOM listed thus far. No psi ops or magic here. 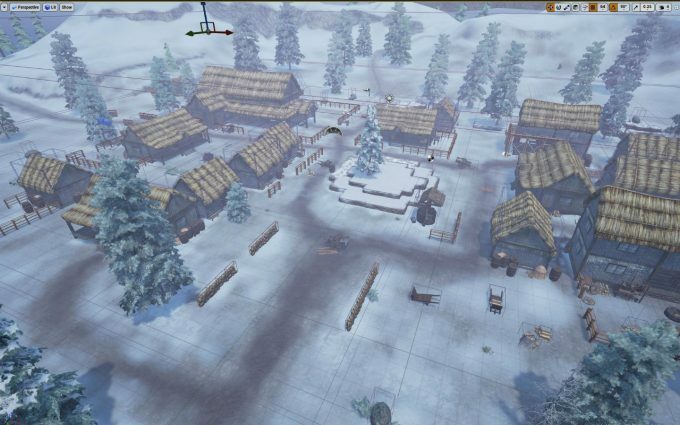 Combat will make use of cover, elevation, positioning, and buildings. Some features will read too much like a 4x for an XCOM game, but the developers keyed in on X-COM as a primary influence early on. Now we wait to see if they’ll release a finished product. One thing you’ll notice the fantasy XCOM-like games aim to accomplish is including more story impacting choices. The plot of XCOM always plays out the same, but the strategic and tactical options offer such a level of variation that there’s a ton of replay on the gameplay level. Forged of Blood is no different, with a three-axis personality plot measuring moral choices. If this game (or another on this list) can actually merge gameplay variance with story variance then that’s really going to eat into my MMO time. 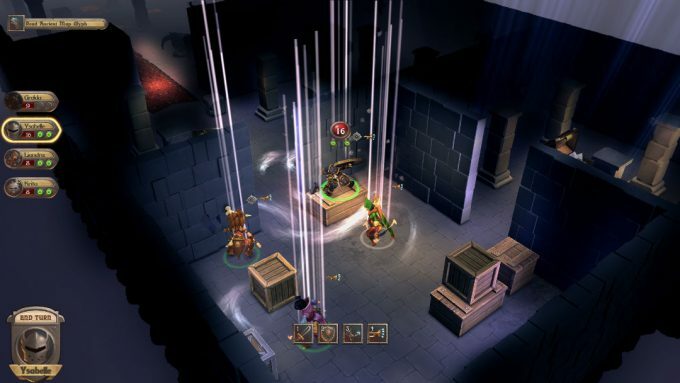 Players in Forged of Blood start as the son of a murdered king. The goal is to reclaim the kingdom’s stolen territories. Players must contend with monsters and rival nations equally, choosing where to send their limited parties. 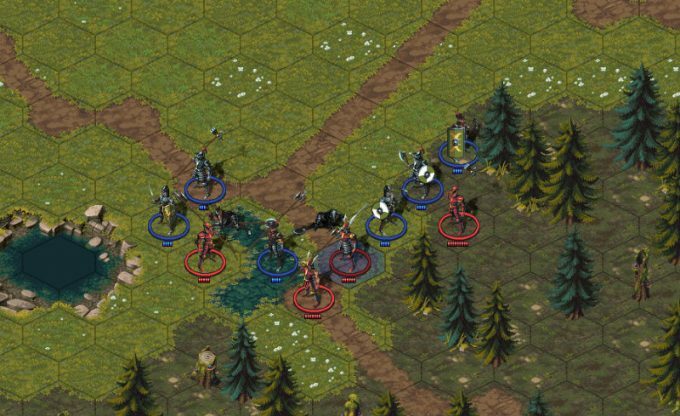 In tactical combat, expect magic and positioning to play a large role in snatching victory. Like in XCOM, it will be difficult to have success in one area without the other. The designer describes the campaign as “XCOM” style so that’s a good start, right? In the strategic layer you’ll be presented with a number of missions, each with different rewards. In missions themselves, you’ll command a small squad of mechs with a variety of potential objectives. 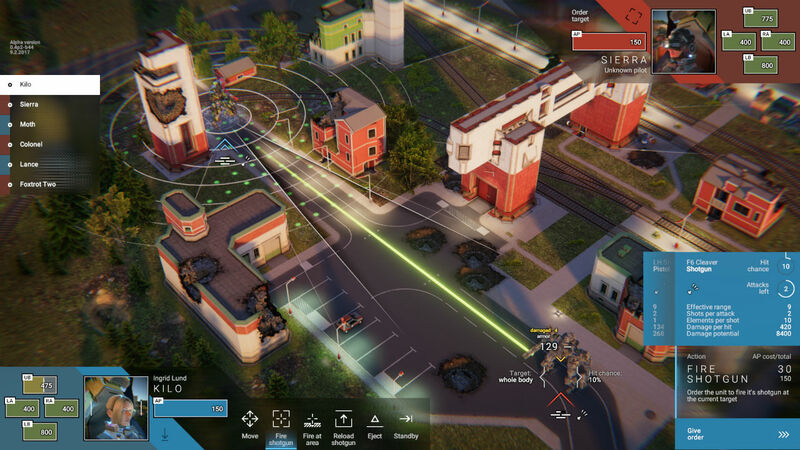 Phantom Brigade adds even more decisions when it comes to permadeath. Pilots can be ejected at any time to save their lives, but you may opt to continue fighting in their mech until the potential bitter end. You can even turn this against the opposition by forcing enemy pilots to eject and commandeering their mechs. A nemesis system like Shadow of Mordor/War and XCOM 2’s War of the Chosen add flair both to your own pilots and to your enemies’. Another appreciated XCOM feature is destructible buildings. Nothing says battle like turning a city into rubble. Finally, the best reason to support Phantom Brigade is that it’s built to be very mod friendly. Mods have been huge for XCOM 2, and this is a big plus for any XCOM like game. Iron Oath promises players the ability to oversee a medieval fantasy guild’s finances, alliances, and members in a world filled with over 50 cities. Permadeath is so ingrained in Iron Oath that guild members can even die of old age. Perhaps the most compelling feature is that each randomly generated character comes with their own backstory, alignment, beliefs, and traits that legitimately impact your choices. For instance, stealing will negatively impact your more honorable guild members. 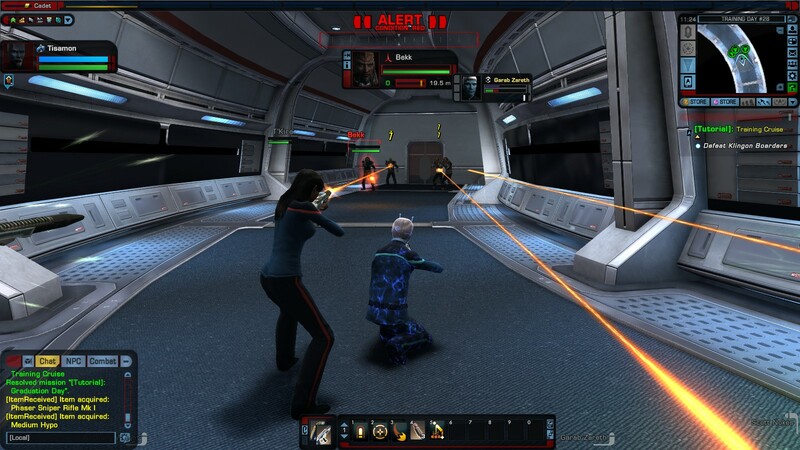 The turn-based combat is a deviation from the other XCOM-like games on this list. Battles take place on a relatively small 2D grid. There are no alien pods to alert with a wrong move. Instead, you’ll run through the areas in a manner similar to Darkest Dungeon and then engage opponents on a Heroes of Might and Magic type battlefield. 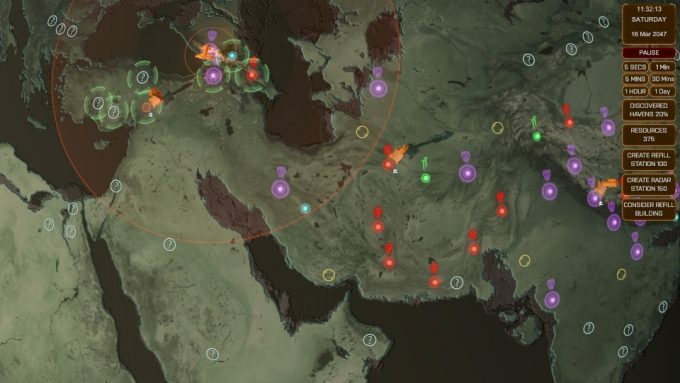 Resource management will play a critical role in defeating missions/dungeons. I’d describe Iron Oath as as fantasy XCOM meets Darkest Dungeon resource management with more potential personality than either of them. Price: $15. You can pre-order Iron Oath here. Oh, my. Another mech game? Yes, that’s right and one based on a very popular franchise made by a studio who successfully adapted another tabletop game in Shadowrun. 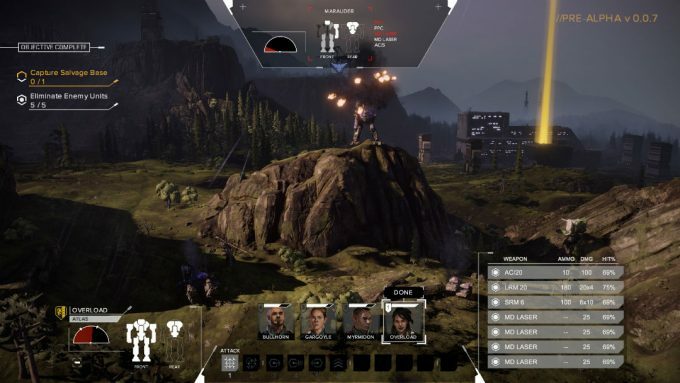 The initial funding didn’t call for any sort of strategic overlay, but their $2+ million on Kickstarter enabled BATTLETECH to qualify for this prestigious list. 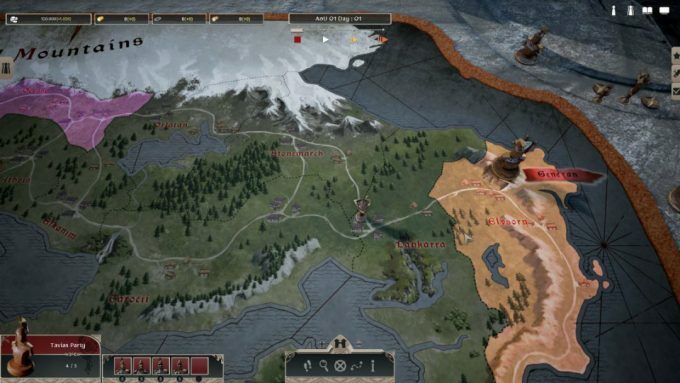 I think the strategic overlay will still pale compared to most other titles on this list, but the tactical combat and unit advancement options are potentially copious. Not only do pilots level up and learn new abilities but mechs can be customized six ways to Sunday. Still, BATTLETECH is first and foremost about operating a mercenary troupe. How the overworld changes isn’t as big of a concern to success or failure like the other games on this list. Price: $35. You can pre-order BATTLETECH here. Which Game Like XCOM Will Be Best? XCOM walks a fine line when it comes to balance. Despite four difficulty levels, I’m not sure it’s ever gotten it quite right. It’s very snowbally so players will typically lose by the mid game or roll through the end game. That said, there’s always a good deal of challenge in overcoming an XCOM campaign. This entry was posted in Crowdfunding, Single Player Games and tagged BATTLETECH, Forged of Blood, Fort Triumph, Iron Oath, Kingsmen, Phantom Brigade, Phoenix Point, X-COM, XCOM, XCOM 2, Xenonauts 2, Zodiac Legion on November 20, 2017 by The Bro. 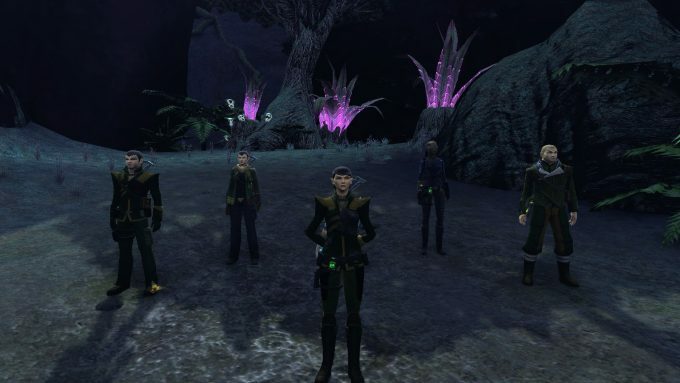 Can MMOs Provide Satisfying Endings? I’ve been thinking about endings lately. About how and if MMOs can end. 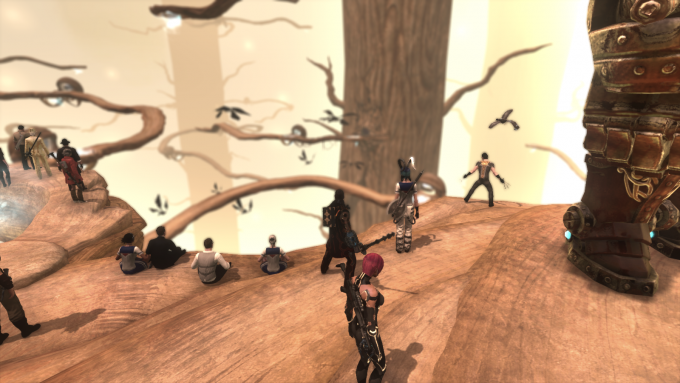 I’m not talking about when games shut down — or at least not entirely — but about the stories within MMOs, and whether they can ever be given satisfying conclusions. This is a complex topic, so let me explain. 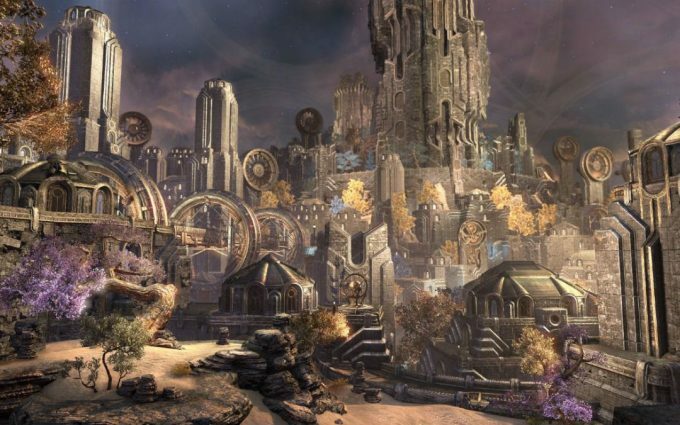 Although MMORPGs are not often thought of as a particularly narrative-driven genre, story is nonetheless a fairly essential part of the MMO experience — or at least the themepark MMO experience, anyway. It’s what steers the direction of the game and gives what we do a sense of purpose. Even if you’re not the sort of person to delve deeply into lore, most would agree that it’s more interesting to fight the traitor Arthas Menethil atop the Frozen Throne than it is to fight Raid Boss #3.3.12 in a gray box. 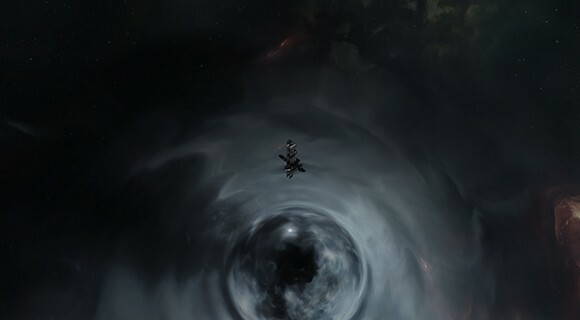 So story is important, but MMOs are unusual in that they are meant to be continuous. There isn’t the same beginning, middle, and end structure. That persistence is a large part of what makes MMOs appealing, but it’s a double-edged sword, because it cuts out something terribly important to any good story: the end. To see how important endings are, look at Mass Effect 3. This is a game almost universally reviled, and that’s purely on the basis of its ending. I vehemently disagree with the criticism of ME3’s ending, actually, but that’s a discussion for elsewhere, and either way it illustrates how much an ending colors people’s perceptions of a story. The trouble with MMOs is that their entire point is to not end, so the story just forges ahead endlessly. This usually results in one of two things, and neither is desirable. The first is the game sunsets and shuts down entirely. Since no one plans to lose their job, the developers will be unprepared for this, and the story will either end unfinished or be given an ending that’s far too rushed. 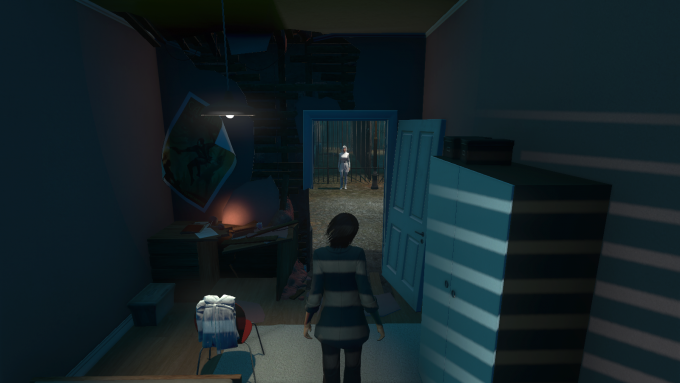 The other is that a game just keeps going on and on, and inevitably, this is going to take a toll on its story-telling. I’m sure we can all think of one or two TV shows that ran for too long and stretched the story past its breaking point. This is no different. A story you love going on forever is one of those things that sounds great until you achieve it, and then you realize that no story can remain compelling forever. But what can be done? 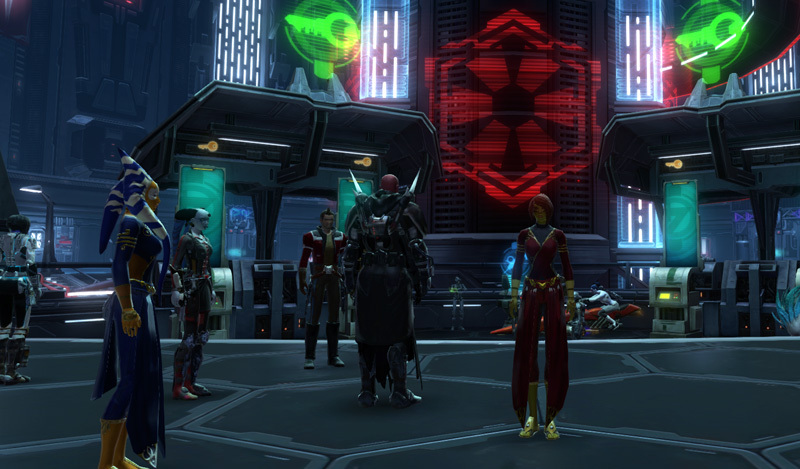 Can MMOs ever truly achieve satisfactory endings? MMOs are, in the end, businesses, and while I do think many developers also care about the artistic side of things, the fact remains that choosing to end a profitable game based purely on artistic integrity is going to be a hard sell, to put it mildly. 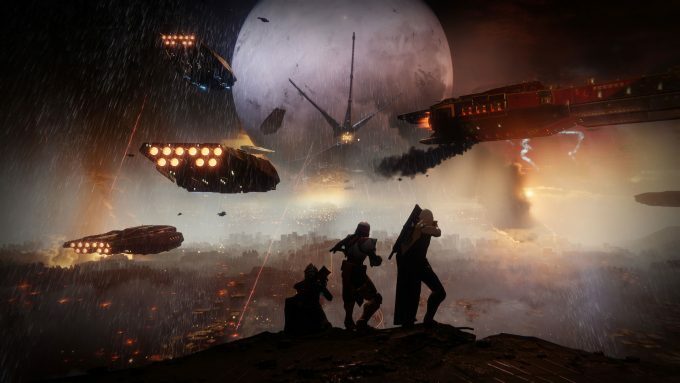 Perhaps it is then up to the players to choose their own ending, to simply stop playing whenever they reach what they feel could be a satisfying conclusion to the story. 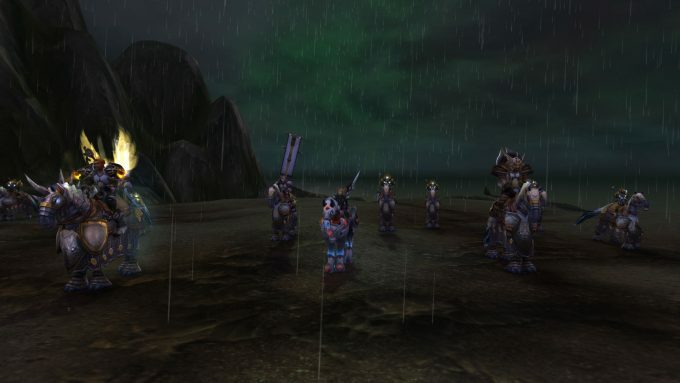 You’d be surprised how many people stopped playing World of Warcraft after Wrath of the Lich King simply because the Lich King’s story was what they cared about, and with it done, they no longer had any investment. That’s not an ideal solution, though. It can be hard to judge when the right moment to leave is. I know a lot of those people who quit after Wrath missed out on some of WoW’s best story-telling by not playing expansions like Legion and Mists of Pandaria. And it can be hard to make a clean break, especially if you still have friends in the game. 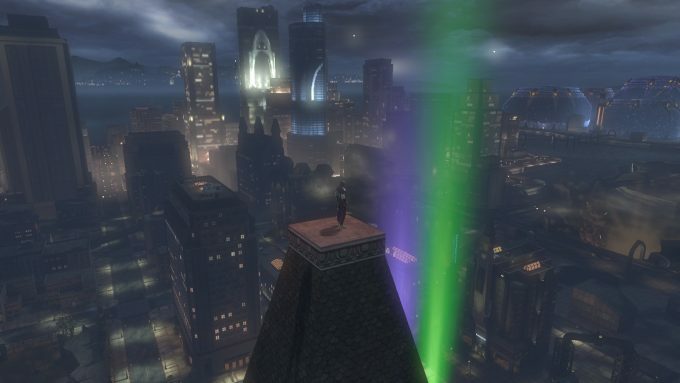 There are some examples of developers delivering true endings to their MMO’s story, but they’re few and far between. 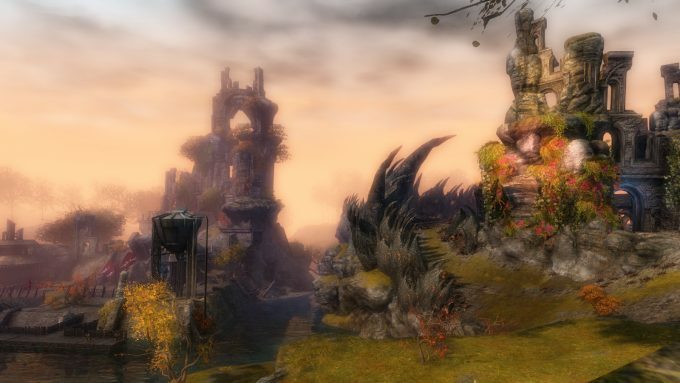 The original Guild Wars comes to mind, but it ceased new development largely to make way for its sequel, so I’m not sure that’s really an ending per se. One other example is Final Fantasy XI, which as I understand it did try to deliver a conclusion to its story before entering maintenance mode. Unfortunately I’ve never played that game, and as an old title with a small community, it’s hard to find a lot of information about it, so I’m not sure exactly how that panned out. Did it wrap up every loose end, or was it simply an end to content updates rather than a true conclusion of the story? That’s a rare case, too. Square Enix is a very successful company with another popular MMO under its belt. Few have the resources to give a proper send-off to an aging game like that. The one other option I see is to wrap up the big storyline of a game, then continue with smaller, more minor story quests for so long as the game persists. There is actually a recent example of this. Lord of the Rings Online was a game whose story had a clear conclusion: the destruction of the One Ring. I honestly thought they’d keep procrastinating about getting to that forever, but now with the recent Mordor expansion, the Ring’s journey has finally ended, yet the game persists, now forging new ground as it deals with the aftermath of the War of the Ring. This seems like an excellent idea to me, but again I do not play LotRO, so I can’t speak with authority on how well it’s worked out. I like the idea, at least. I’m not sure this would work for every game, though. World of Warcraft defines itself by being as bombastic and epic as possible. Abandoning major threats for smaller stories of character and culture just wouldn’t quite work there. It may instead be doomed to continue on until it becomes totally ridiculous (some might argue it’s already there). This is another situation that lacks an easy solution. How would you give closure to MMO stories, and do you have any examples of it being done well? This entry was posted in General MMOs, MMO Game Design, MMO Opinions and tagged Final Fantasy XI, Guild Wars, Lord of the Rings Online, World of Warcraft on November 14, 2017 by Tyler Bro.